Well Built Home with many big ticket items already done! 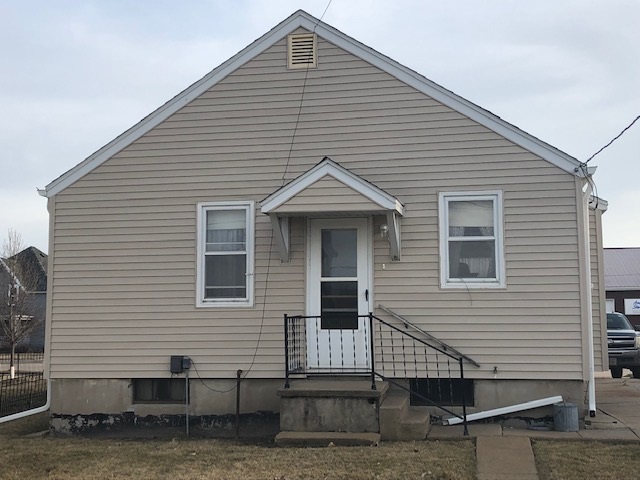 This 2 Bedroom 1 Bath home has newer vinyl siding, gutters and roof in 2018. Gas Furnace, Water Heater and Central A/C in 2013. It has underground sprinklers and a nice sized storage shed in the back. The main level has wood floors in the living room and bedroom rooms. Eat in Kitchen and Full Bath complete the main level. Basement has laundry and canning kitchen. Potential for finishing. This home is priced to sell. Kitchen: Electric Range, Garbage Disposal, Refrigerator, Eat-In, Laminate, Some Appliances Incl.